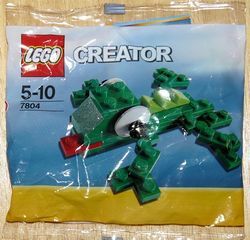 7804 Lizard is a Creator set released in 2009. 33 pieces are included to build a green LEGO lizard. It was free with the Daily Mirror in the UK. It's recommended for children aged 5 through 10.